Don't you hate it when you're working the grill and you singe your knuckle hairs? That's the problem that the Grill Daddy tools are designed to solve. A heat shield hangs below the area where you grip the tool. The shield rotates around so it's always hanging below, so you don't need to worry about positioning it - you can twist the tools around to grab, poke, and move food on the grill and the shield will always be between you and the heat. I tested Grill Daddy tongs plus two add-on spatula attachments. The attachments were pretty easy to swap - just remove one of the tong ends, put a spatula on, and you've got a spatula below with a grippy tong on top. There is also a fork and a spatula with the same shield - I haven't seen them in person, but they look like the handle and shield are the same as what's on the tongs. Maybe. The theory behind it is good. I know that there have been times when I've thought I should have brought on oven mitt outside with me when I'm using a short pair of tongs or a some other inappropriate kitchen tool. 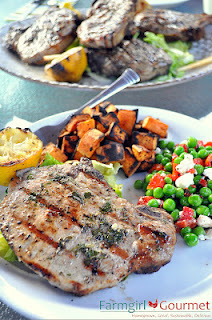 Most of the time, I just work quickly and dodge around and grab the mitts on the next trip to the grill. Or, if I'm smarter, I grab more appropriate tools. These tools are appropriate. The tongs were long enough that my hand was nowhere near the heat when I was moving the food around on the grill. So the length helped keep my delicate hand away from the heat, but that meant that the heat shield was overkill. Someone working with a larger grill might find the heat shield more useful, though. When I approached the grill from the side rather than the front, the shield protected my hand, so that was great. But if I needed to reach to the far end, more than just my hand was at risk of toasting. The heat shield also served as the lock to keep the tongs in the closed position, and that worked with just a twist of the wrist. Once I figured out the right motion, it was really simple to flip the tongs closed before I set them down. I thought that was kind of a neat feature. 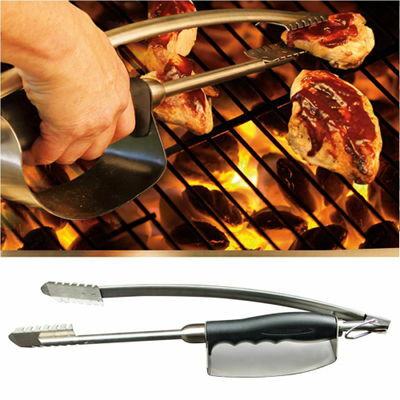 If you've got a grill, you probably need decent barbecue tools. Short kitchen implements might not be the best bet. These tools are well-made and long enough to be useful on an average-sized barbecue and the heat shield provides extra protection if you've got a larger grill. Whether that heat shield is enough of an improvement to warrant tossing your old tools and buying these - I'm not completely sold on that idea. 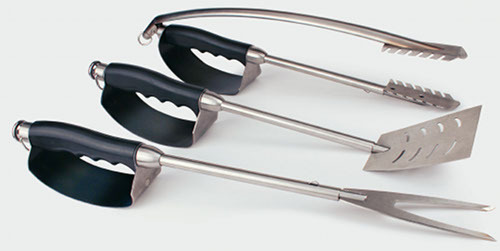 There's one major reason why these tongs aren't going be my go-to barbecue tool - they were a little big for my hands. They weren't so big that I couldn't use them, but they felt a awkward. They'd be much better for someone with larger paws. 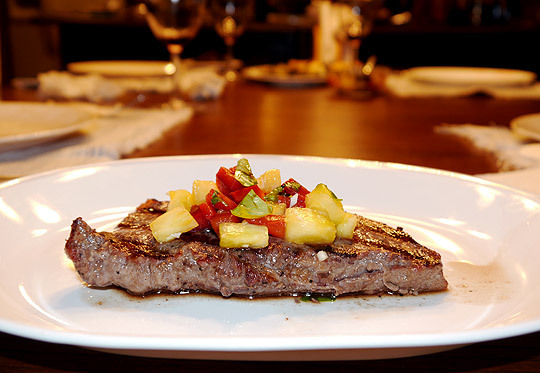 This post was originally written for Serious Eats; products were received at no cost for the purpose of the review. I love making ice cream because I can create any flavor I like. When I saw beautiful berries, in the produce section, I decided to use blackberries and raspberries in my next batch. The resulting ice cream was a pretty light purple color - besides looking lovely on its own, it would make the perfect accent with some fresh peaches, or on top of a peach cobbler. This recipe is egg-free, so you don't have to worry about making a custard. There is a little cooking involved, but it's not complicated. Put the raspberries and blackberries in a saucepan and heat, stirring as needed, and crushing the berries as you go until the fruit is broken down and you have a syrupy liquid. Strain the liquid through a fine strainer to separate the liquid and pulp from the seeds and bits of skin. Discard those seeds and solids. Let the syrup cool to room temperature. When the syrup has cooled, add the sweetened condensed milk. Stir until it is completely combined. The liquid will thicken a little. Add the heavy cream, vanilla extract, and salt and stir until it is all well combined. Chill the mixture in the refrigerator at least four hours or overnight. When it is fully chilled, churn it in your ice cream maker according to the manufacturer's directions. Transfer to a storage container and freeze until firm. For information on Whole Foods and Whole Foods Friday, see the tab at the top. This ice cream was featured on Tastespotting for their celebration of ICE CREAM DAY sponsored by Dreyers/Edys Slow Churned Ice Cream. It's right here. And check out my whole gallery here. When I saw tomatillos, I decided to do something different with them. Instead of making a salsa, I decided to use them for soup. While tomatillos are only very distant cousins of tomatoes, there are some similarities. So I thought they'd be great in a gazpacho. Not a traditional gazpacho, that's for sure. This is a soup you can slurp from a bowl or drink from a glass. So is it a soup, or is it a vegetable smoothie? Does it really matter? It tastes good, no matter what you call it. The tomatillos add a nice tartness, and to me they taste a little bit like lime. The fire-roasted red pepper is cooked by the fire-roasting - at least a little bit - and it adds a nice sweetness. 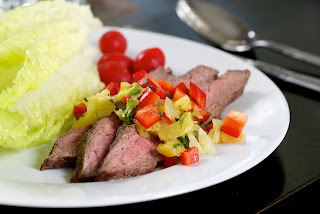 I considered making the gazpacho green by using a yellow tomato, and roasted yellow pepper instead of red. But then I changed my mind and went for red. Remove the papery skin from the tomatillos and wash them to remove the sticky substance on the fruit - that stuff tastes bitter, so you want to make sure it gets washed off. Quarter the tomatillos and put them in your blender or food processor. Core and quarter the tomato and add it to the tomatillos. Peel the cucumber, cut it in chunks, and add it as well. Cut the green pepper and roasted red pepper in pieces and add them as well. Add the salt and one tablespoon olive oil. Blend until you have a relatively smooth mixture. If it's too thick, add a bit of water. Taste for seasoning and add salt, as needed. If you want a little more tartness, add a splash of wine vinegar. Serve, garnished with a bit of your herb of choice (chopped chives, fresh thyme, dill, basil, or marjoram would ll be nice. Add a small drizzle of olive oil and a few grinds of pepper. This can be made in advance and refrigerated until serving time. Want some grains in your salad? To me, barley seems like a winter food. It goes well in beef soup, or along with hearty dishes. But why does it have to be that way? Why not use it in a summer dish? I decided to find out, and cooked some barley and let it cool to see what it would be like. Put the cooked, chilled barley in a medium bowl. Chop the olives roughly. It's fine to leave some large pieces, but if you cut each one at least in half, you'll know you don't have any remaining pits. Add the olives to the barley. Cut the asparagus in 1/4-inch pieces and add them to the barley. Dice the bell pepper to about the same size as the olive pieces and asparagus and add it to the barley. Add the marjoram, thyme, and rosemary. Add the lemon juice and stir to combine. 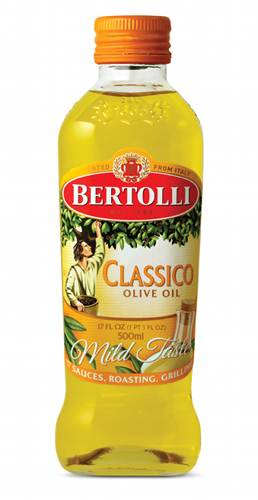 Finally, add the olive oil and stir one more time. You can serve immediately, or make it in advance and refrigerate until needed. I think it's best after at least a few hours - after the herbs have had a chance to hydrate a bit and flavor the barley. For more information on Whole Foods and my relationship with them, check out the tab at the top. As soon as spring turns to summer and the temperature climbs past 70, the ice cream maker becomes my new best friend. Home made ice cream is the default dessert most nights - a perfect little sweet scoop. With the added benefit that it's something cold. I'm always looking for different flavors for ice cream and different add ins. And I'll admit that I'm not immune to using a few shortcuts to make the job a little easier. When I tasted the mocha-flavored International Delights Iced Coffee, I knew right away that I wanted to work it into an ice cream recipe. Because it's not a far leap from iced coffee to coffee ice cream. I was really pleased with the results. Besides the mocha flavor, you can also find vanilla and original flavors. I think they'd all work well in this ice cream. In a medium saucepan, heat the half-and-half, sugar and salt until it just simmers. Meanwhile, whisk the eggs in small bowl. Slowly add the hot liquid to the egg yolks, stirring or whisking as you go, until you've added about half of the hot liquid to the egg yolks - this keeps the eggs from scrambling. Slowly add the egg mixture back into the pan, stirring continuously. Continue cooking until the mixture thickens - you'll feel the "drag" on the spoon as you stir. It should coat the back of a spoon and if you run your finger across the spoon, the line should remain. Pour the egg mixture through a fine strainer into a clean bowl - this catches any bits of egg that might have scrambled. Add the vanilla extract and the International Delights Iced Coffee and stir until combined. Cover the bowl (or transfer into your desired storage container) and refrigerate the mixture until it is well chilled - at least 4 hours, or overnight. When it is fully chilled, churn it in your ice cream maker according to the manufacturer's directions. Transfer to a storage container and freeze until firm. This is a sponsored conversation written by me on behalf of International Delight. The opinions and text are all mine. International Delight Iced Coffee Sweepstakes and Rules. I love pickles of all kinds, and pickled beets are no exception. They one of my favorite summer foods, perfect on the plate right next to the burgers and the potato salad. Not so long ago, all beets were dark red, but these days there are more interesting colors available, including lighter pink beets and yellow ones. I found some pretty pink beets at the store and decided they'd make attractive pickles. And unlike the darker beets, the lighter-colored ones and the yellow ones won't stain everything they touch. You can buy beets specifically for this recipe, but it's also a great use for leftover beets (as long as you don't butter them - butter in pickles isn't great). I bought a few bunches and used some hot at dinner and pickled the rest. I always put onions in my pickled beets, because I love pickled onions. And when you pickle them with beets, they take on some of the color - in this case, they are a pale pink. This recipe is meant to be refrigerated - these beets aren't designed for long-term storage. But that's fine. It's so simple you can make it whenever you like. The beets are done as soon as the liquid is chilled, but the I think the onions are best after they've rested at least overnight. If you prefer smaller pieces, quarter the beets; otherwise leave them whole. Slice the beets and onion thinly and put them in a pint jar or similar container. Add the allspice berries and clove. Combine the water, vinegar, salt, and sugar in a small saucepan. Bring to a boil. Pour the liquid over the beets and onions in the jar. 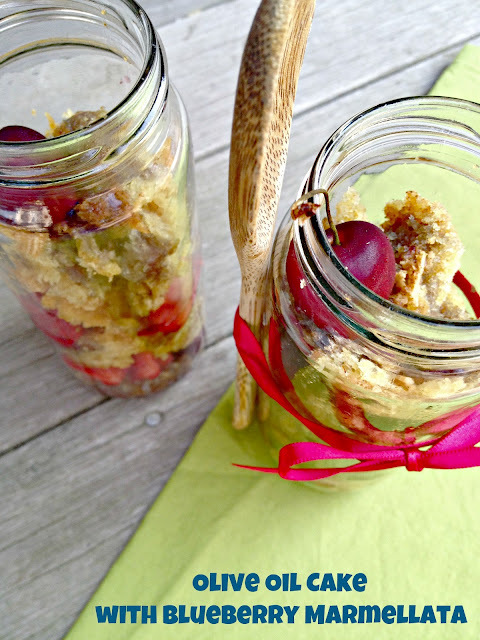 Cover the jar and let it come to room temperature, then refrigerate. You can use this as soon as it is chilled, but I like it best after a day or two. Now that the weather has gotten warmer, my bread machine has been getting a little more of a workout. When it's really warm, sandwiches are often on the menu for dinner, but I still want homemade bread for those sandwiches. It doesn't make a lot of sense to heat up the house baking bread just so I can eat a cold sandwich later. Fortunately, the bread machine doesn't heat up the house very much at all. I might not serve bread machine bread for a dinner party, but it's perfectly acceptable for everyday sandwich bread. The vinegar in this loaf adds just a little bit of the tang that you'd get in a long-fermented dough. Sure, it's a cheat, but it makes a good loaf of bread. If you don't have a bread machine, you can use this same formula to make a standard loaf of bread - but increase the yeast to 2 1/4 teaspoons. 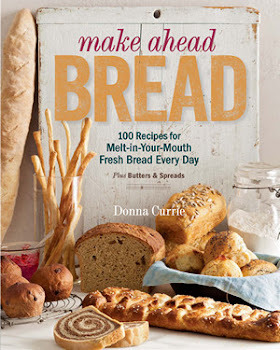 Put all ingredients into your bread machine in the order recommended by the manufacturer. Set the machine for a standard loaf (if the machine has several settings), a large loaf, and a dark crust. When the bread is done, remove it from the machine, remove it from the pan, and let it cool completely on a rack before slicing. One of my favorite (and simplest) ways to prepare rice is to season it with saffron and scatter green peas throughout. It's simple, it's delicious, and it looks pretty - bright yellow with bright green. Speaking of green peas, back when I was growing up, the only English peas I knew came out of a can. My dad grew snow peas in his garden, but those were completely different. Green peas were olive green and mushy. I ate them, but I didn't love them. Then my mother discovered frozen peas, and my world became a little brighter. But the big revelation didn't happen until I was living on my own. That's when I realized that frozen green peas didn't actually have to be cooked. I started adding them to salads and stirring them into cooked dishes right at the end so they would get warm but wouldn't cook very much at all. And that's how I like them in rice. stirred in after the rice is done cooking, so they retain the bright green color and flavor and texture. Sure, they're not the same as fresh English peas, but they're a heck of a lot better than canned peas. This rice dish starts with the same idea, but adds more. Much more. The color isn't quite the same as my typical bright yellow rice - first, it's brown rice instead of white, and second I added a good dose of finely chopped dried mushrooms during cooking. As a result, the rice is a deeper yellow rather than a canary yellow. 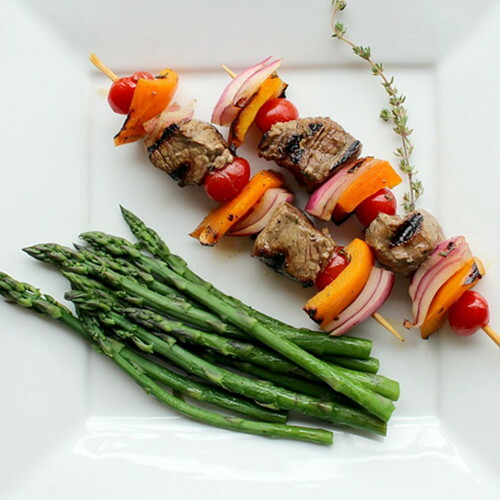 With the deep yellow rice and the richly colored vegetables, this looks awfully pretty on the plate. When I looked at the colors, I thought the only one missing was purple. I considered beets, but knew they'd stain the rice. Purple kalamata olives might work, but that's not as bright as the other colors. So, no purple this time. To add a splash of white, I added some hakurei turnips. They're much sweeter than standard turnips. I like them raw in salads, but this time I cooked them. When it comes to cooking rice, I used my rice cooker. It's easy, it doesn't heat up the kitchen as much as firing up the stove, and I can toss the rice into the cooker and get forgetful without coming back to a burned pot. If you don't have a rice cooker, of course you can cook the rice on the stove. Cook the rice in your rice cooker along with the dry mushrooms, salt, sage, and saffron, using the amount of water required for brown rice according to the cooker's directions. Or cook it on the stove, if that's your preference. Meanwhile, cook the carrots and turnips in boiling salted water until cooked to your desired tenderness. You can cook them in the same pot as long as you cut them into the same-size pieces. Drain the vegetables when they're done. When the rice is finished cooking, add carrots, turnips, red pepper, butter, and peas. Stir to combine. Taste for seasoning and add more salt or more butter, if desired. This post is for the Integrale Gauntlet contest sponsored by Marx Foods. For the purpose of the contest I received a box of rice for my use in making the recipes. This is the third post in the three-part contest. The first post for risotto (I made bacon and tomato risotto) is here. The second post for rice pudding (I made rice pudding ice cream) is here. I've owned a number of blenders in my life. One might even have been harvest gold. Some have had multiple speeds, some had toggle switches for fast and slow. Some had glass jars, while others were plastic. But all of them shared one common trait - my hope that they'd perform better than the last one, followed by disappointment. Most of the blenders I've owned have been able to puree things, if the liquid ratio was correct. But I've never had one that could do a decent job crushing ice. Not one. And most of them had other tragic flaws that relegated them to very occasional use and much shaking and scraping to get everything well blended. But no matter what, smoothies weren't smooth because of the ice problem. Ice crushing was the first test I performed with the Ninja Kitchen System 1100 ($140). A tray of ice went in, much noise ensued, and I had a beaker full of snow-like ice. Hmmmm... So what else does this thing do? My new Ninja friend came with a short and a tall beaker, and five different blade/paddle things - two tall ones for the tall beaker, and three small ones, and I wasn't sure what they were for. One thing you'd notice immediately about the Ninja is that rather than having blades at the bottom of the beaker, there's a shaft with a series of blades spiraling up it. I thought that might be yet another gimmick until I saw what it did with ice. And bananas, strawberries, mango, and everything else I put into it. My fruit intake has increased just because the blender actually blends. Smoothies are now smooth. But that's not all. The whipping paddle for the tall beaker can be used to whip cream or egg whites. Huh? Yes, I was skeptical. Yes, I tried it. Yes, I made whipped cream. Well, that's different. The small beaker has a dough-kneading blade and the manual claimed it could be used to knead bread. I had to give that a try. The instructions note that the blender should be pressed down on the counter so the suction cups adhere. Did I mention the suction cups? Four suction cup feet, and a lever at the side to release its grip from the counter. It's a good idea, even when you're not making bread dough. I hate it when appliances wander around the counter like lost puppies. I made a test batch of dough, and watched the Ninja bounce up and down gleefully on its suction cup feet like some sort of animated cartoon robot. In no time, I had dough. Just like a food processor, but with more happy bouncy action. And the feet held it firmly in place. The blender has three speeds - dough, blend, and crush - and a pulse button. That's plenty. The one downside to the blender is that the lid can be a little hard to remove until you get used to it. It seals with a gasket, and it has to be locked in place before the blender will start. It makes sense since the top of the shaft is anchored by the lid. Having that shaft spinning out of control would probably be bad. That gasket seal keeps the contents from spewing out, but it also makes the lid a little tight. But, hey, I'll take that over having to clean up smoothie ooze. 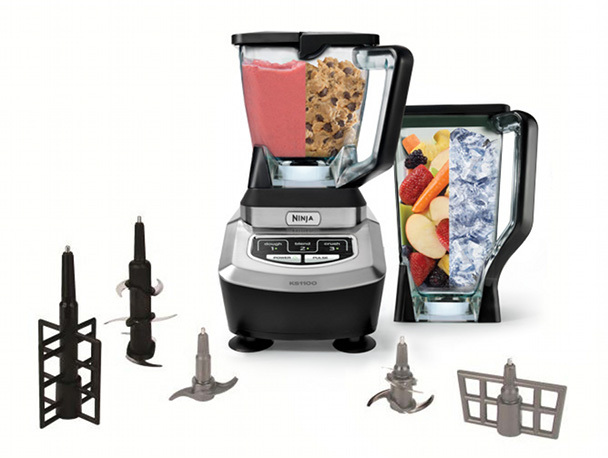 Besides crushing ice, making smooth smoothies, kneading dough, and whipping cream, the Ninja also performs more mundane blender tasks like mixing batters. But unlike normal blenders that are only happy with crepe or pancake batter, this will handle cake batter and cookie dough as well. I've used the Ninja at least once a day since it arrived, blending everything from frozen Margaritas to iced coffee to milkshakes and smoothies, along with the test batches of dough, whipped cream, and mayonnaise. So far, I haven't found anything it can't do. Finally, a blender that I like. It's about time. This recipe is reminiscent of both guacamole and ceviche, with flavors of both. But it's not spicy, unless you consider onions spicy. You can heat it up with some hot sauce, chili powder, jalapenos, or cayenne and serve it with chips instead of with a spoon if you prefer. I liked the idea of leaving the avocado in its shell - it made a really pretty presentation. But you could scoop out the meat and mix it with the vegetables instead. Your choice. For my convenience, I bought the shrimp pre-cooked. Of course you can cook your own. You know, if it's not 90 degrees in your kitchen. Dice the tomato and put it in a small bowl. Dice the onion and add that to the tomato. Peel and dice the cucumber, and add that as well. Sprinkle with the salt and squeeze the lime juice over the top. Stir to combine and set aside to marinate for at least an hour - this will mellow the onions and infuse the lime flavor into the cucumbers. Slice the avocado in half and remove the seed. Cut the flesh first in one direction, then in another, without cutting through the skin, to make cubes or diamond-shaped pieces, When you scoop it out with a spoon, you'll have nice chunks. Top the avocado with the vegetable mix, then add a shrimp to the top. 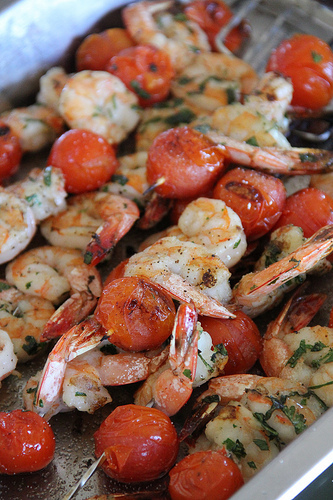 If you like, you can drizzle a little of the lime juice on top of the shrimp. I very seldom buy cocktail sauce for shrimp. I don't need another bottle of something lurking on my refrigerator door, and particularly not something that I don't use often. I mean, we don't eat shrimp every week. The great thing is that cocktail sauce is easy to make from ingredients you might have on hand. For sure they're ingredients I always have on hand. You can adjust it to your taste, and to compensate for how spicy your horseradish is. Not only are different brands of horseradish more or less spicy to begin with, the longer you keep it, the milder it will get. So, like anything else, I suggest you taste and adjust. This recipe is tiny - just a little taste of shrimp for two people, but you can make the cocktail sauce in any quantity you like. I like to start with 1 part horseradish to 2 parts ketchup, and adjust from there. As far as extra ingredients, you can add more heat in the form of cayenne or hot sauce, but you certainly don't have to. The horseradish already packs its own heat, and this simple sauce lets the shrimp be the star. Shrimp cocktail should be all about the shrimp, right? Combine horseradish, ketchup, lemon juice and the hot sauce or cayenne, if you're using it. Taste and adjust, as desired. 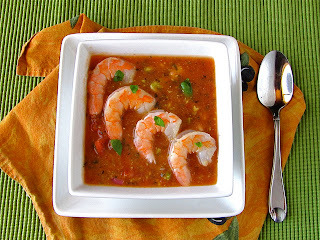 Divide the sauce into two small glasses and arrange the shrimp in the glasses. For more information about Whole Foods Friday, and my relationship with Whole Foods, see the tab at the top. The weather's been warm and my cooking - or lack of - has changed to suit the weather. We've been eating a lot of cold meals lately - salads, sandwiches, and smoothies have been a theme. For some of the salads, there have been cooked components, but I get around that by doing the cooking in the evening, after things have cooled off. While I don't want to stand at the stove or hover over the oven, I'm pretty excited about the local fruits and vegetables that are showing up in the produce section. Eating fruit plain is great, but it's also great to present it in other ways. Like fruit salad. Growing up, fruit salad was something that came out of a can. Later, it was watermelon and cantaloupe cut in rounds with a melon baller. Although I love cantaloup, my husband's not a big fan, so I went in another direction. I came up with a fresh fruit salad that includes one of my favorite combinations - pineapple and yogurt. Sure, pineapple isn't local, but was beautiful and fresh. Fruit salad works as salad, side or dessert - or breakfast. In the next post coming up, I've got a pair of shrimp recipes for you. One is obviously a starter or even an amuse bouche, if that's how you roll. The other could be an appetizer ... or lunch. Combine the pineapple, strawberries, cherries, lime, salt, and sugar in a bowl. Stir to combine. Add the yogurt and stir again. Serve immediately. If you mix this ahead of time, the pineapple will absorb color from the red fruits and will begin to turn orange, and the yogurt will also take on a bit of a pink tinge. Whether you like that or not - that's your call. If you have leftovers, this will make a great addition to your morning smoothie. You might even want to make extra, just so you can have that smoothie. This post has been entered in the OXO Cherry Recipe Contest. Lately I've been humming the theme song from the classic movie Thoroughly Modern Millie. What? You never heard of it!? Julie Andrews! Mary Tyler Moore! No??? Not ringing any bells? Apparently the film was quite popular in its day, but I think the only reason I'm familiar with it is that I had a cousin named Millie and we watched it together. I thought it was sort of cute; I think she hated it because she had a name that was modern in the 1920's. What's this got to do with milkshakes? How about a book named Thoroughly Modern Milkshakes? Yep, a whole book about milkshakes, and I'm been blending my way through it with mad abandon thanks to my spiffy new blender that actually blends. But on to the milkshakes! I was invited to participate in the The Great Shake 2012 to help promote the book. And you're invited, too. 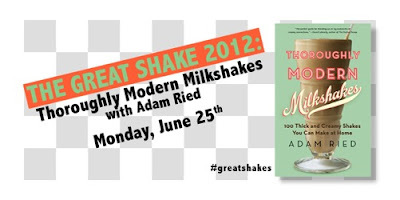 Just show up on Twitter on June 25 at 8 p.m. Eastern, and follow the hashtag #GreatShakes and hang out with the publisher, the author, and a bunch of other folks who may or may not be slurping milkshakes. When I found milkshake in the book that combined cashew butter and rum, I had to try it. I didn't have any cashew butter on hand (I had just used the last of it to make cashew butter ice cream) so I did the only possible sensible thing - I ground some cashews to make my own cashew butter. Dessert-sized portion. So you can have two! Place the milk, rum, vanilla extract, cashew butter, and slat in a blender and blend to mix thoroughly, about 30 seconds. Continue pulsing, stopping, and mashing until the mixture is well blended, thick, and moves easily in the blender jar, roughly 30 to 90 seconds. This is a really thick, rich shake and the rum makes it a nice after-dinner treat. I treated this like it was dessert - which it was. With a teeny bit less milk, this would make a great soft-serve dessert, served in smaller glasses and eaten with spoons. Or, you know, in a really big glass with a straw. I'm looking forward to making my way through the rest of the book. There are some interesting spins on even the classics, like a chocolate shake that includes both ice cream and sorbet. and some that are a little more unusual, like this one. Or the Bananas Foster shake or the Ginger Chai shake. I sure hope that blender can keep up! Today is pie day, but I decided that a savory pie sounded much better than a sweet one. It's been pretty darned hot lately, so we've been having ice cream for dessert. Sure, pie goes with ice cream, but with this heat, we've also been eating less. A slice of pie would be overkill for dessert, with or without that ice cream. But a savory pie is something I can eat cold for lunch. Perfect. I decided to use zucchini, tomatoes, onion, and cheese. Why? Well ... they go together. And it's what I had. I thought about adding artichoke hearts, red bell pepper, or sugar snap peas, but decided against it. Why? Well, when you make an apple pie, you usually don't add a bunch of other things. I thought three vegetables plus cheese was plenty. For the wine in the pie crust, I used a Flipflop Wine sauvignon blanc. You can choose your favorite white wine, but I'd suggest staying away from dessert wines. For the cheese, I used a provolone-like cheese. Put the flour, salt, and sugar in your food processor. Pulse a few times. Cut the butter into pieces and add it to the processor. Pulse until the butter is chopped into pieces about the size of a pea. With the food processor running, add 1 ounce of the wine, then stop the processor and pulse until the dough begins to come together in clumps. If it doesn't come together, add a bit more wine. Empty the contents onto your work surface and gather the dough into a mass. Flatten it into a disk. 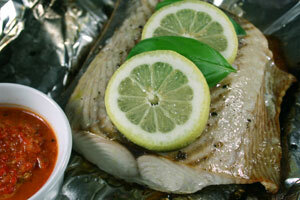 Wrap it in plastic wrap or put it in a plastic bag and put it in the refrigerator for at least an hour. Meanwhile, prep the vegetables. Dice the tomatoes (peel them if you like) mix them with 1/2 teaspoon salt, and put them in a strainer over a bowl to catch the liquid. Slice the zucchini into rounds and slice the onion into thin slices. When the dough has chilled, roll it out to fit your pie plate (or this would be great in a tart pan as well) leave the edges ragged for the moment. I used a 9" pie plate. Preheat the oven to 375 degrees with a rack in the lower third of the oven. Put about half of the cheese in the bottom of the pie, and top with about half of the onions. Season with a pinch of salt and a few grinds of pepper. Put the drained tomatoes on top, then sprinkle the thyme on top. Put the rest of the zucchini on top (you'll see these, so arrange them in a pretty pattern), then scatter the remaining onion on top. Season with a bit of salt, then top with the remaining cheese. Grind some pepper on top, then cut up the butter and scatter it on top. Now, fold the edges of the pie dough underneath itself, and crimp as desired. If the pie is really full, crimp it up on the rim of the plate. If you don't have as much filling, crimp the dough inside the plate. Bake the pie at 375 degrees until the crust is browned the cheese is melted and browned in spots, and the vegetables are cooked through - about 35 minutes. Let the pie pan cool on a rack. You can serve this warm, chilled, or at room temperature.